Larry Waugh was one of the original members of the Pacific American Singers and was an active member until he passed away March 10, 2006. Starting that year, we named our annual show in Salinas in his honor and recognized the exhibitor with the most points at that show as the winner of the Larry Waugh Award. Larry was born August 17, 1933 on a farm in Nairn, Scotland. All his uncles were farmers and he worked with them. When Larry was nine his father was killed in the 2nd World War so he and his mum moved to the Scottish borders where he also had uncles with farms. Larry first started raising English budgies, selling them to his friends and neighbors and became very successful with this. He left school when he was 14 years and trained to be a carpenter. He was conscripted into the RAF and served there for 2 years. Larry moved to Michigan, USA in 1956. He stayed there for 2 years then moved to the Bay Area which he loved. Larry met Doreen in 1958 and they went back to Scotland to get married in 1961. They were married for 45 years when Larry passed on. Larry was interested in high performance cars and was in a few car clubs. He also got interested in German Rollers and started breeding them. He really loved his birds and his next step was to get American Singers. 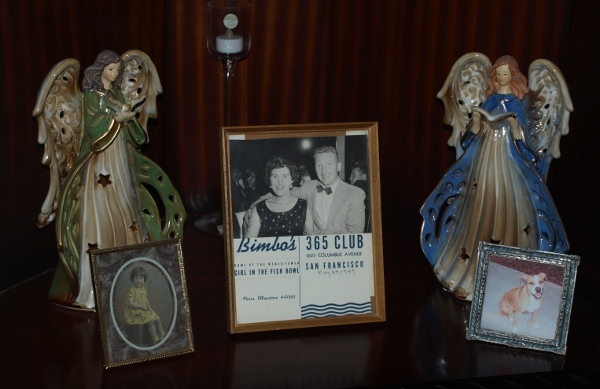 He and Doreen were founding members of PAS and loved this club. They both helped set up the annual shows and did a lot of volunteering where it was needed. The other members were so great and like family to them. Larry would be proud to know that the Salinas Show is now called the Larry Waugh Memorial. Here is a list of the Larry Waugh Award winners, ties are listed alphabetically.